Jon Klancher teaches Romantic and Victorian literature, the sociology of culture, and the history of books and reading at Carnegie Mellon University. He has written widely on Romantic and nineteenth-century British literary and cultural history in such journals and collections as ELH, Studies in Romanticism, MLQ, Romantic Metropolis, The Cambridge History of Literary Criticism, The New Historicism, and The Oxford Companion to the Romantic Age: British Culture 1776-1837. 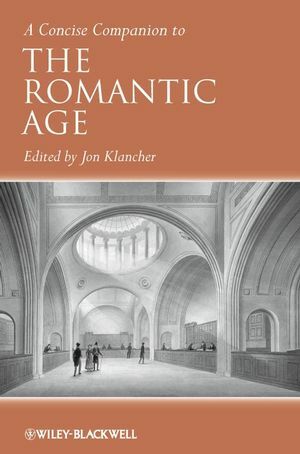 Author of The Making of English Reading Audiences, 1790-1832 (1987), he is currently completing a book, Transfiguring “Arts & Sciences”: Knowledge and Cultural Institutions in the Romantic Age. Ranges across the Romantic era's literary, visual, and non-fictional genres.